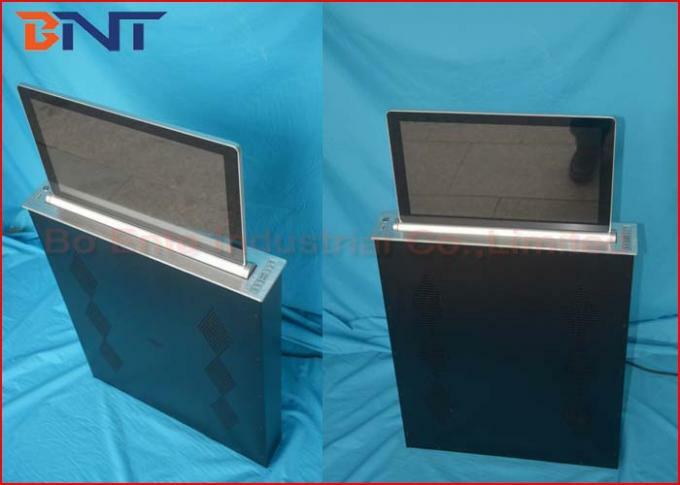 LCD monitor lift is a ultra-thin design of automatically lifting monitor mechanism with retractable screen. It is a complete monitor lifting equipment for office audio video conference system. On meeting, Screen could arising up from the equipment to the tabletop if user would to present information by wireless controller. And screen would be electrical tilting 45degree for prefect presentation automatically once arrived the desktop surface. What is more, user could electric adjust the screen angle from 10 to 45 degree as required. Screen would moving back from tilting position and become straight, then coming down into the mechanism case after meeting. Contructed with powerful motor, screen could be power on and present data information automatically if reach the desktop, and it could closed the data presentation and power off if arrived the bottom case. With such smart function, the lift provide good protection for the screen and save the electricity. 1, Super slim design for motorized screen, whole mechanism is only 8.8cm width. 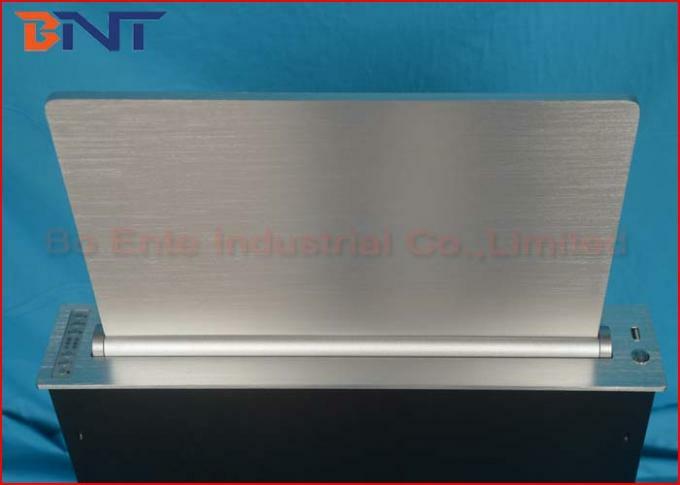 2, Made of aluminum alloy panel and monitor shell, adopt imported circuit board, excllent motor, and gear & rack. 3, Circuit board make motor working to bring gear lifting monitor up with rack. Supply the most steady and safe during monitor lifting up and down. 4, It’s smoothly and quietly during monitor lifting. Low noise which less than 30db. 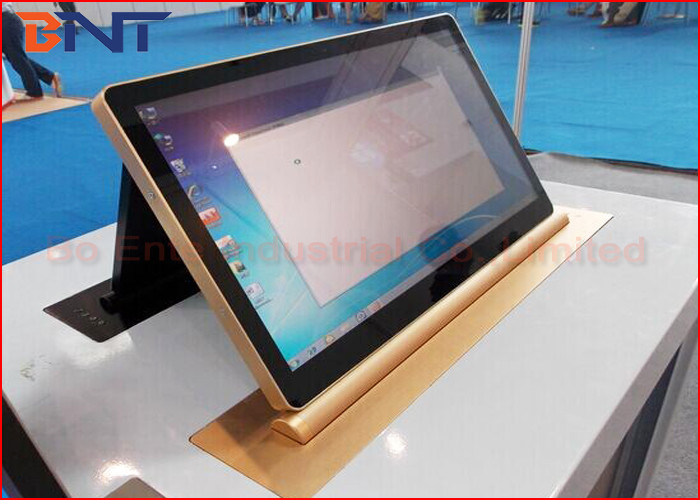 5, Screen angle could be electrical adjustable selection, could tilting 10, 15, 25, 35, 45 degree as required. To provide prefect reading on meeting. 7, Monitor would be power on automatically if reach desktop and power off if arrived the bottom. 8, Complicated with AMX/Crestron or other central controller via RS232/RS485 port. 1, Whole complete lifting equipment with 15.6 Inch FHD wide screen. 2, Equipped with VGA or HDMI, USB, XRL,RS232 data interfaces for convenient data access. 3, Packed with strong carton with foam cushion to protect product during transportation. 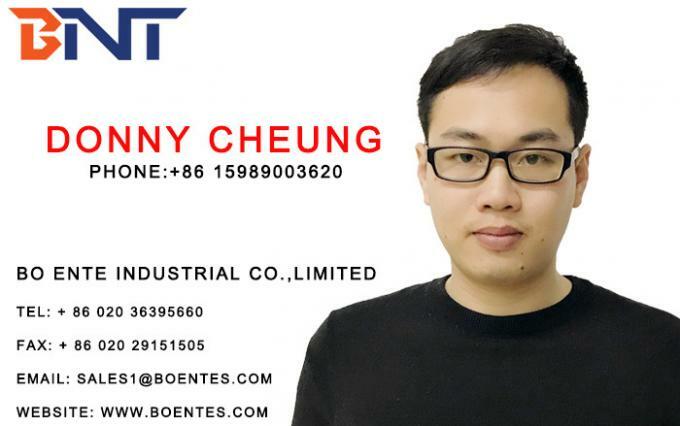 Wood box package for Express or air shipment.